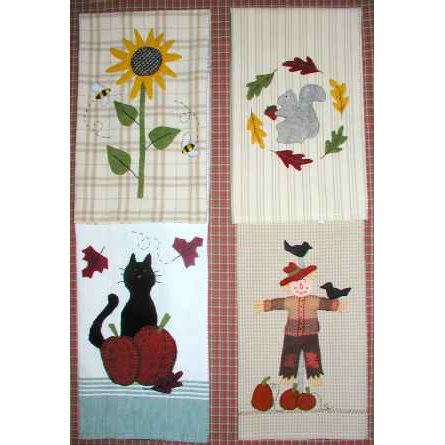 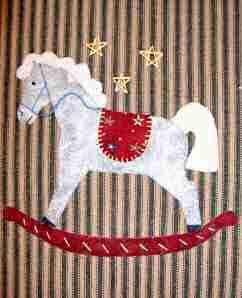 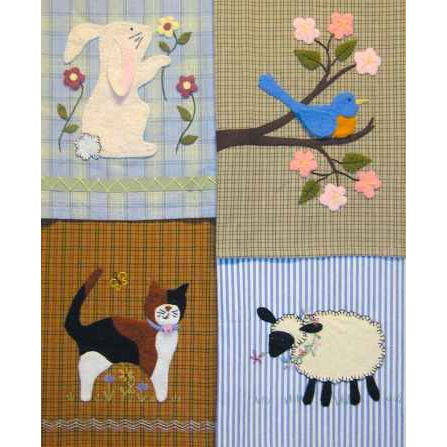 These patterns were designed with wool felt in mind, but would be suitable for other appliqué methods as well. 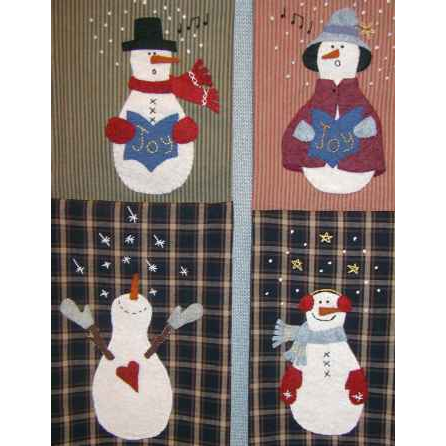 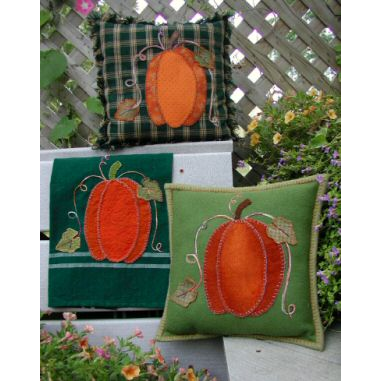 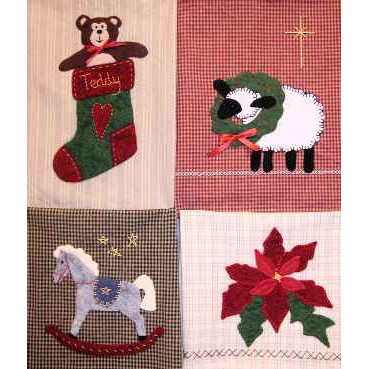 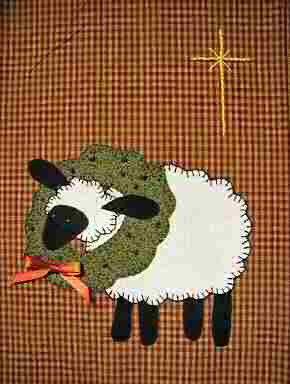 Sized to fit on homespun towels, but also are nice on pillows or other Christmas decorations. 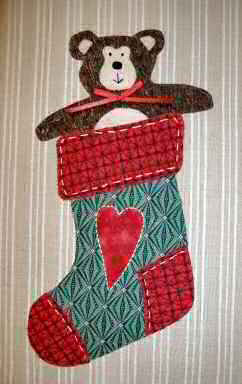 Also pictured as done with fusible appliqué and cotton fabrics.